Shopping habits change. Once upon a time there were proper shops: grocers, greengrocers, butchers, bakers and fishmongers. Even a dairy where each week the milk bill, for those delivered pints, would be paid. And on at least one weekday there would be the excitement of the outside or covered market piled high with fruit and vegetables, fresh free range eggs, home cured hams, honey, cakes and jams, all brought into the town from the surrounding countryside. Now, sadly, with the growth of the out of town superstore and, most recently, on line shopping, so much of this has disappeared. Here in Budapest old customs do, indeed, die hard, if they die at all. For since the close of the nineteenth century, when five large markets were opened, all coincidentally on the same day, very little has changed. Today they operate much as they have for the past hundred years, spilling over now, as then, into and onto the surrounding streets and pavements and catering for a population which continues to shop daily. Our local market, one of the original five, is in Hunyadi tér. Unrestored outside, it is a cavern of a place, icy in winter and overwhelmingly hot in summer, but hugely popular, and busy, at all times. In addition to several greengrocers, and like everyone we have our favourite, there is a bread stall, a fish counter, complete with murky watered fish tanks, crowded and heaving, a kind of marine Death Row, as well as two or more butchers. For meat we favour a particular stall, manned by one Gyula and his merry men. The quality is excellent, and others think so too, for it is seldom possible to get away without queuing for at least twenty minutes, considerably longer at weekends. For fruit and vegetables we turn to Blondy where the stall holder, a Manchester United supporter, is endlessly cheerful and never without his somewhat cheeky grin. Tucked away in a rather dark corner is the cabbage woman, essential if you are to make, which most Hungarians do much of the time, stuffed cabbage. With an outsize smile, she will serve you with near translucent leaves torn from a giant pickled cabbage. To this must be added the shredded strips, also pickled and sold separately by weight, which are cooked alongside the cabbage-wrapped meat and rice balls together with a generously sized piece of smoked ham. Apart from a few jars of pickled red cabbage, and the odd egg lurking in liquid, she has little in the way of other stock. Amazingly she appears to make a living. North of Nyugati pályaudvar, the western railway terminus, is the most modern of all the markets, Lehel. In atmosphere it is very different from its older counterparts, slicker, more streamlined. But in essence it remains the same. Country people, with garden produce, man their stalls here as elsewhere, the honey man comes regularly, fish swim a little more freely, bread is baked and Brussels, with all its European Union regulations, is a long way off. Such a different world. And that would be my favorite way to shop, daily. Thanks for such a interesting peek into your world. Yes, another country...!!!! But great fun too and we should not wish to change it. I think this is a such a natural way to shop, and you must enjoy the interaction with the men and women who sell you your food. I know you don't spend much time in your kitchen, but do you do all of the shopping yourselves? Thanks for sharing another charming aspect of your life! Here in Norfolk there are still greengrocers and butchers shops in the market towns. A queue is always a good sign, altho as a veggie I'd pass that stall by. Blondy sounds like a fun proprieter to visit, good or cheerful service makes such a difference. At the risk of sounding like complete lazy tarts, which actually we are, we must confess that it is Tímea, our housekeeper, who does all the shopping. However, we often accompany her as we like to see what is going on and all the stallholders know us!! Yes, we agree, a queue is always good to look out for. However, even better is that at very busy times, such as in these last days before Christmas, we are often invited to shop 'at the back door'!!! It is indeed sad to see the demise of the market in a large number of metopolitan areas. Once a daily event for shopping, socialising and economics in a lot of areas has been regulated to just appearing on weekends or on special occasions. Being one that shops daily for the evening meal, If find supermarkets and the such very limiting. Although a wonderful market exists here in Toronto, not only is it expensive but over run withntourists. Your market looks wonderful. Thank you for taking me along on your trip to the market. I love places like these where people know their products and their livelihood depends on the sales so they make sure it's good. I really believe that too much regulation results in people not really thinking about the necessary details because they believe the government has got it all covered. That goes for the merchants and the customers alike. Take me to the unregulated local market any day. The Main Market Hall in the centre of Budapest is extremely impressive but, as you say, when filled with tourists which that one often is, it is less appealing. We do feel very fortunate indeed to have this particular Market Hall just a few steps away from our front door with not a tourist in sight!! It is, as you say, so good to develop a relationship with the people who are providing one's food since that has always meant that we have the finest and freshest of fare. Always in season and virtually all produced locally and if that means some National shortages now and then, so be it!!! Hello, we love to visit public markets on our travels. New York City can be primitive in many ways, but our Greenmarkets bring farmers and producers to consumers in a charming and effective way. Everything from real cream to wild mushrooms to poultry and meat, baked goods, flowers at Easter, gifts at Christmas... and wonderful fresh vegetables in season. Some locations run 4 days a week, some only one, and because they're all outdoors in squares or in closed-of streets, winters are tough. The local chefs arrive at dawn as the markets set up... . I know people like to come to New York for the tall buildings and the museums, but these markets are where you'll see real New Yorkers. Isn't it a shame that all of the lovely individual shops are disappearing? It's only in the last year that we lost our wet fish shop. We still have a couple of independent butchers and, there is a farm near me who sell fresh meat and homemade pies etc. We also have farmer's markets once a week so, considering the loss of all of the wonderful shops, we are quite lucky.We also live quite near to Braughing who are famous for their sausages. It's the greengrocers that don't seem to survive. We used to have at least four but they have all gone now, apart from one Turkish shop that sells fresh fruit and vegetables and homemade bread. Your market looks so inviting and I only wish that we had the same where we live. I love this. It would be amazing to have that here. I am so lucky to have a local grocer. I know everyone, and they know me. They will cut meats the way I would like, look into brands they are not currently carrying... and when Kenny was so ill, they would deliver my groceries to me. Living in a farming community, we also have amazing produce in the summer months. It would still be fun to to have access to a grand market such as yours. This is all incredibly interesting and, certainly, the Greenmarkets would be where we should wish to be on our visit to New York which we keep promising ourselves to make. Often, the range of food on offer at our Market is limited but, in our view, that is completely made up for by the quality of the produce and the fact that it is locally grown. Hungarian tomatoes, in our opinion, could be classified as the eighth wonder of the world!! Well, we do envy you your Braughing sausages!! The Hungarian equivalent, although they are many, varied and absolutely delicious in their own right, are nothing like an English sausage and we do miss them. On our returns to the UK we are constantly dismayed at the number of independent retailers of food and other things who are disappearing from the high street whilst supermarkets of all persuasions seem to be popping up on every corner. Oh dear!! It is, as you say, so wonderful to be part of a community when it comes to shopping for food as it becomes a social occasion to be savoured rather than a chore to be carried out with maximum speed. And, how very kind to have been able to have had the groceries delivered to you when Kenny was ill. That is so very caring and, we are sure will never be forgotten by you. What a wonderful market! Farmers markets have become very popular here in the states, and some of them are quite comprehensive (baked goods and cheeses and meats as well as produce) but they don't have that marvelous old world feel to them. The produce looks amazing, and I love that there is a cabbage stand! Your descriptive words "marine Death Row" is so apt--Chinatowns here are full of them. Thank you for sharing this. Our Market certainly has the 'old world' feel about it!!! Indeed, we often liken living here in Budapest to be like returning to the 1950s or, on occasion, a century earlier!!! The Farmers' Markets we see appearing on some blogs do indeed look wonderful but it is, we feel, a great luxury to have the market so near at hand every day rather than just it being a weekend or once a week affair!! Great post! It made me miss Tallinn and the market places there. Do you speak Hungarian or is English enough to get by? We can well imagine that Tallinn has similar market halls although, sadly, we have not yet visited Estonia. No, English is not spoken by anyone in the Market but our halting Hungarian is sufficient we are pleased to say!! This was such fun to read, and I am so envious, the stuffed cabbage sounds incredible, and the idea of a cabbage lady sounds very romantic. How fortuitous I come upon your post today. Just last night I was thinking why isn't there a store which only carries fresh items from those who live nearby. I didn't think it was financially possible, but a "market" such as yours makes me realize it is possible for all to benefit from what is sold, genuinely raised, processed, or made and be financially feasible. This I was thinking after going to a flea market here and hearing so many folks say how they abhorred the big box stores, the human touch in what we purchase or eat isn't lost after all. Well now I see another reason why you choose to live where you do. Do they sell any artisan made products at your markets as well? Stuffed cabbage is a particularly traditional Hungarian dish for Christmas and is served with sour cream and fresh bread. It is one of our favourite dishes and will be made for us by or housekeeper, Tímea, next week. We have an idea to photograph her making this and present the receipt as, up until now, we have had no clue as to how exactly it is made!!! Watch this space. Our mega-grocery stores (which are too large for me to take in)have set themselves up as the old-fashioned markets used to be - but with much more "bling". They are a big hit here with all their local and international food displays. You can spend hours in their cheese department. We have also seen a resurgence in the Farmer's Markets. Rather than individual road side stands, many local growers, dairymen, bakers, and crafters are in one location and draw large crowds. It is nice to see and it is good to support our neighbors. I think today people are very concerned about where their food comes from and knowing the local market and the people that serve them gives confidence that what they purchase is fresh and healthy. Wonderful post, in every way: great architecture, fresh food markets and a peek into your daily lives. Yes, it all does work wonderfully well, for everyone's benefit, and we sincerely hope that it will remain so for many years to come. Unusually, for many capital cities, many ordinary people live in the centre and need to carry out their daily shopping close to where they are. Hence, the Market Hall has an important role to play. Unlike other markets, there are no ceramics for sale and only a very limited range of 'household goods' such as cooking pots, kitchen utensils etc. However, there are many other food related artisan products at the Market such as fruit syrups, honey, cheeses, jams, chutneys and the like. Today we purchased corn dollies and corn 'flowers' which are beautifully made and look wonderful as decorations for the festive season. What a wonderful way to shop with such interaction with the "shop keeper" in every purchase. We just have boring "grocery stores" where you walk aimlessly through aisles picking items off shelves speaking with no one regarding what we are choosing! Very isolating and boring!!! Some "old" traditions (as you have) should never be lost!! We try to avoid large food stores wherever and whenever possible, but it is so much easier to do that here in Budapest than in Brighton. The idea of your local producers getting together to provide a wide range of fresh food seems an excellent one and we are not surprised to read that it is popular. Yes, as people become more concerned about their food, this is an excellent way to ensure good provenance. Greetings from two lazier than you can even imagine Tarts!!!! We should be bereft without our Market. It has been under threat of closure on more than one occasion, but, by popular demand, it remains open and we do so hope that it always will. Sadly, the building, especially the exterior, is in a very sorry state and is in desperate need of restoration. It is decorated outside with wonderfully carved animals but they are now caged in wire mesh to stop the masonry falling on the heads of passers-by!!! It is so wonderful to be able to shop at the fresh market for both food and flowers!! Thank you for the market tour...I don't miss French markets...usually overpriced, though I used to make a trip to town for the 'ethnic' market...chinese veg, top rate meat and queues, queues, queues! We shop in the San Jose markets...old rather dingy buildings...but wonderful produce! Like you we have our favourite stalls and if I shop on my own the stallholders ask after my husband's health...the tomato man has his church praying for him! I was touched nearly to tears. Yes, you are absolutely right. It is the social interaction with the stall holders that is every bit as important as the purchase of the goods. Mutual interest in personal health issues, the state of the Government, the rise and rise of VAT and the weather make for an altogether entertaining shopping experience!! As always I love going along on adventures with you, shredded cabbage and all. We have returned to the market here in rural US - we buy lovely brown, blue and white eggs from a farm nearby and go to farmer's markets spring to fall, and to McDonald's more than we should! Your San Jose markets sound very similar to ours.There is nothing the stall holders like better than to hear how Britain, its weather and its food are so inferior to those to be found in Hungary!! Hungarians never ask one how one is unless they genuinely want to know the answer. After what the market people know to have been a particularly stressful time for us healthwise, they have all shown the most touching kindness. How lovely that you have experienced the same tenderness and concern for your husband's health. Thank you for sharing these pictures of your beautiful market - you're right, this sort of shopping is disappearing elsewhere. It reminds me of going to the market with my Dad on Saturday mornings when I was a little girl. The veg on that at greengrocery stall looks absolutely mouthwatering! Yes, we regard ourselves as very fortunate indeed to have such a bounty of fresh produce right on our doorstep. Those vegetables! It has been awhile since I've seen so many beautiful vegetables in one place. You would cry over what the local Walmart says are vegetables and fruit here. Very sad things. I think this community feeling is why I enjoy flea markets and places like the Goodwill so much. You really are so lucky to have such an abundance of beautiful food in your community, and personally I would probably be one of those hanging out at the back door selling. We can fully realise that stuffed cabbage might sound like a challenge to you, but believe us when we say that, in the right Hungarian hands, pickled cabbage can be transformed into epicurean delights which would have Mr. Mc Donald weeping!!!! We regard ourselves as being in the very fortunate position of having the time to shop for food each day and to have it made freshly each day. There is something rather wonderful in having this 'slow food' approach which does sound very much like your experiences as a child. The Walmart fruit and vegetables do sound sound as if they make a sorry sight. Pale, limp and uninteresting, perhaps? And, yes, it is the community spirit which is a such a great draw, very much like your local flea markets. It makes all the difference when one is considering what to buy. The atrocities carried out on Hungarian Jews were truly horrific and many left the country with only the clothes they stood up in. But, how fortunate you were to be able to sample the authentic Hungarian cuisine through your friend. Goulash [Gulyás] is a favourite with us too as is the stuffed cabbage. I enjoy seeing this aspect of your lives. And it's noteworthy that more fresh markets and farmers markets are popping up around the United States. I think more people are becoming conscious that the quality of what one ingests is more important than the speed of buying it! We absolutely agree and do feel that people are questioning whether they really do need to have all foods available all year round or can life go on with just food that is available locally in season. So much more beneficial to human health and the environment too!! I was coming to tell you that we still have small shops and markets in Norfolk, but topchelseagirl got here first (hello, TCG). Milk is brought in bottles to the door and a fishmonger calls at the house every Monday. When I was in Krakow a few years ago, I went to the local market near the hotel on my last morning and it happened to be the day when market gardeners from the outlying area came in. I bought a lovely smoked cheese and couldn't resist some root vegetables, as well as other odds and ends - I thought the greens would get too squashed. The stallholders were lovely and so pleased that an English person was visiting them. How lovely to still have individual food shops, milk delivered to the door and a fishmonger calling each week. Perfect! In this landlocked country, we tend to find the fish something of a disappointment and rather expensive. But, that aside, the vegetables, meat, cheese, sausages and pickles are wonderful. The building looks wonderful even in disrepair. I love when I travel I always try to visit at lest one market in what every city I am in. Are you done with your Holiday shopping ? It's service with a scowl where I live. It breaks my heart to go shopping nowadays, classy high streets shops have been taken over by pound shops, Wilkinson's, cash4Gold and scratter filled amusement arcades. I saw one of these shops the other day. Cash for your old clothes! 50p a kilo! Yes, the late nineteenth century building is rather splendid and the ochre coloured stucco is a wonderful shade. However, it would be marvellous to see it restored to its former glory, particularly the animal sculptures which form a frieze right round the outside. Gayle, our 'holiday shopping' could be condensed into a single afternoon. Believe us!!! Gosh, we are not sure whether we are more concerned about the 'service with a scowl' or the cash for clothes shops. The latter is something entirely new to us; sadly, not the former!! Shopping in your area looks a delight, especially I imagine when you accompany the housekeeper, how grand! It seems as though there is a butchers shop in every village here in Germany. So popular is meat. A bit hard if you're vegetarian. I should add that backeries are popular too. That last sentence made me feel a happy pinch behind the molars -- such a well-written piece on an apparently provincial topic of global importance. The 'marine Death Row' sentence made me grin, as did the cheeky stall grocer and the lovely woman with her translucent, pickled cabbage leaves. I could spend a month in your world and find so much inspiration. It is still quite difficult to find Fairtrade goods in Hungary but they are becoming more available. It is so important that people are paid a fair price for what they produce and, for us, buying less food but of greater quality is a priority. Vegetarians are generally less well catered for than their meat eating counterparts in Hungary too but the Hungarian cuisine in general is becoming 'lighter' with less emphasis on red meat, salt and fat!! The Café Society is alive and well here so coffee and cake are available on every street!! It sounds like another world. Dearest goddaughter, oh how we wish you could spend a month with us, for that we are sure would be a delight. Would we ever sleep?!! The Bureaucrats of Brussels do seem very remote when we consider all that goes on not only in the market but in so many other walks of Hungarian life. United across a continent we may all be in Europe but cultural differences mean that boundaries continue to exist and 'old ways' remain steadfast. My weekly shopping has been transformed thanks to a small Indian supermarket in our nearest large town( which now calls itself a city) the fruit, vegetables and herbs are truly magnificent, at a fraction of the price at our expensive local store. Together with every herb spice and pulse you have ever heard of, and a great deal you haven't. Plus it is a delight to shop there with a truly cosmopolitan mix of customers. Large bunches of coriander, parsley and mint greet you at the door, a treat for the senses. Oh how wonderful your Indian supermarket sounds to be. Such an intoxicating mix of exotic foods and spices, we should love it for sure. Although there is a large Chinese community in Budapest, there are few Indian people and only a small number of Indian restaurants and shops. This we miss. However, our friend Viktor is a wizard when it comes to Indian cookery and a small Vietnamese store close to where they live seems able to supply the most interesting and delicious of ingredients. I love visiting food markets such as this one, and I always like to make a point of visiting the local markets when I go travelling as they give a really good sense of the local culture and cuisine. In Toronto, we have St. Lawrence Market, and Kensington Market. St. Lawrence is my personal favourite, and we like to buy exotic cheeses, chocolates and freshly baked bagels there. It's such a fun atmosphere and the food always seems so much better than what we find in the supermarket. Thanks for sharing glimpses of this marketplace! Thank you, Jane and Lance, for sharing this with us. How I wish that I could shop like this. Our town doesn't even have a baker anymore. It did for years but eventually it went the way of the supermarket. Food shopping should not be such a chore. Your way sounds like more fun. We completely concur with the idea of visiting a local market when travelling as it always provides such an insight, as you say, into the lives and tastes of locals. Your St Lawrence market sounds to have a most exciting range of produce and a fun atmosphere is always good. So much better than a soulless supermarket. Oh dear how dismal that you do not have a local bakery any more. We regard it as one of life's luxuries to have fresh rolls each day for breakfast and all manner of artisan breads and pastries available close by. The supermarket Tesco is a major presence throughout Hungary and we have noticed with alarm that local 'Tesco Express' stores are appearing in several streets across Budapest. We sincerely hope that this will not bring the demise of small, independent food retailers as competing with such food giants such as Tesco on price is well nigh impossible. How lucky you are to have such a wealth of locally produced foods easily available. And the WI, too, now that really does make us wistful for England. As you say, supporting such ventures really does make for a thriving local community as well as eating better as a result. Thank you too, dear Dee, for your support of our blog over the year and may you have a happy and peaceful Christmas and New Year. This market sounds like my kind of place! I wish there were more markets and specialty shops where I live, I try to support the ones we do have. i am thankful to my mother for taking me to those kind of markets as a child. of course there is nothing like this anymore in Athens ( only street markets once a week in some neighborhoods) and certainly not here in Norway. but one can find here, small places with local food and div. products, which i suppose is better than nothing. We are sad to read that your area is suffering from a lack of markets and speciality shops. But, so important, as you write here, to support those that still exist. Yes, it is almost like stepping back into our own childhoods to visit the markets in Budapest since this is how we recall them being in the 1960s. And, you are so right, a daily visit to the local market is so much more than simply deciding what to buy. It is the social interaction, the jolly banter, the whole atmosphere of the place that makes it all so special. How we should miss this if it were not there!! Hello Jane & Lance - lovely images of your local markets. To a certain extent I think things have gone full circle here with Farmers Markets a weekly feature, specialist Bakers and Cheese Shops etc. opening up in most towns. Of course, the monopoly is still held by the big Supermarkets. The cabbage lady looks as if she is making a pretty good living, she obviously does not live on cabbage alone! You have now made me want to go to the Markthalle in Stuttgart, a place I sometimes wander around in just for the smells and sights, rarely ever to buy. Here in my town, Ludwigsburg, the market square is indeed used for markets each Tuesday and Thursday, with farmers and gardeners, butchers and bakers and so on from the surrounding area selling their produce. It is very popular with the townspeople, in spite of us having all kinds of big supermarkets here with some of them being open until midnight. You simply can't beat a proper market when it comes to atmosphere! Thanks for that little taste of Budapest. Long may such markets prosper. Oh, Jane and Lance, how I love shopping at markets! A Very Fond Memory is of you two taking me through Just This Market...it was SO delightful. Sorry but I'm excited all over again, remembering that wonderful day spent in your company. I adore markets and would fall right into the spirit of things as I love to chat folks up, ask about them and their families, etc. Buy way too much because it's all so beautiful. Sometimes, here at home, I demonstrate spinning wool at my wheel at the local farmers' market; that's always fun and, sometimes, there are children who will climb onto my lap and try their hand at spinning. How delightful! Many thanks for this walk down memory lane and I do know I need to respond to your PM. Just as soon as I stop crying from happiness, I will. Your offer is so kind and, perhaps one day, I'll be able to surprise all of us -LOL-. That looks wonderful. I always envy places that have such choices. Freshmade things are always the best. Your photo-essay does indeed bring back an old way of like. 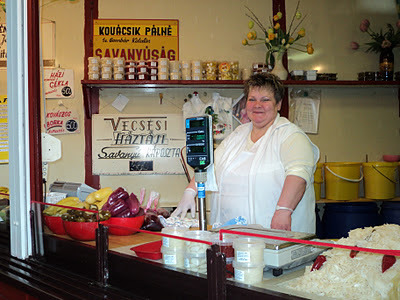 That Hungarian market is reminiscent of Cleveland, Ohio's landmark West Side Market. Taipei City is still loaded with these old market buildings and market streets, and although some are nicer than others, it is still a well-entrenched method of shopping here. You may well be right about the tide turning again towards specialist food shops. We certainly hope so as this does bring a wider and more interesting food offer to the high street than that given by supermarkets alone. Yes, we rather suspect that the cabbage lady does not live by cabbage alone. She is a treasure!! The Markthalle in Stuttgart sounds to be a most interesting place. One can, we feel, be inspired food wise simply by walking around such places and breathing in the atmosphere of it all. Your own town sounds to have a good selection of local producers represented in the market square and it is most heartening to read that such a market is thriving even with the fierce competition of supermarkets. We are so pleased that you enjoyed this small 'taste' of Budapest. Like you, we sincerely wish that such markets continue to thrive. The demise of the sort of shopping you describe is a constant refrain of Dad's, although he's not entirely convinced the demise of the British High Street, and small independent shops in small and large towns is a completely bad thing. Some of the old independent shops, he said, were truly atrocious, with tired, fly-blown stock in decaying premises, offering zilch customer service. Vibrant entrepreneurship and good stock were remarkable when you came across them because they were the exception. He's 60 and readily admits his view is coloured by growing up in dreary post-war, post-rationing Britain. On the other hand what has replaced a lot of those old independent businesses is bad in a different way. The effect of their business model is to destroy choice, while appearing to expand it. All supermarkets, he thought, offer much the same fare, and it tends to be limited to that which can be reliably supplied. Physically too, the effect on the visual environment of chain shops is tending to make all high streets look much the same. Hungary is lucky to have preserved its markets. They still exist here in some places and seem successful. I'm not sure how much they are for local produce. I suspect not much. I love markets of all sorts. You probably know there is a growing farmers market movement in Britain, which is a sort of reaction to the tyranny of the supermarket, and the homogenisation of shopping. It aims to restore the direct contact between producer and customer, and cut those 'food miles' we know are bad for the planet. We may have to learn to eat seasonally again. Supermarkets have accustomed us to expecting to have all foodstuffs at all times of the year and that's not really sustainable. It seems so very long ago now, dearest Sandra, that we were walking through the market together but how well we can recall your delight in its sights, smells and people. You have such an affinity for and empathy with country people and all those who make their livelihoods from the land and we can well understand that you are never more at home than when amongst such people. That we shall be together again is a certainty!!! Old markets - they can be very special like the one you show here - or they can be awful! I wonder what it is that makes the difference? They should - in my opinion - all be wonderful, interesting and inviting places because out of town supermarkets are soul destroying and we should avoid them if we can. I am currently going through a food crisis as I am so depressed by what's available in my local supermarket but don't have the time available to shop more widely using specialist shops. I will, however, think about cabbage more creatively! That vegetable stall! Oh my, that should be on a postcard! How wonderful to read that you have visited Budapest. The market halls are all of a similar construction, but we feel that the one of which you write must be the main market hall in the centre of town as it has both a downstairs, a basement and an upper level. Our own local market has only a ground floor. But yes, the hanging strands of chilli peppers are wonderful and they look especially good at this time of year when they resemble Christmas decorations!! We are so pleased that you have enjoyed our market tour, we feel very lucky to have such a wonderful place close by. Thank you so much for the link to the West Side Market in Cleveland. Such places really are National Treasures in our view. Taipei City clearly has a similar approach towards its food shopping experiences. We rather like the idea of people over many generations having shopped in such places over the years. 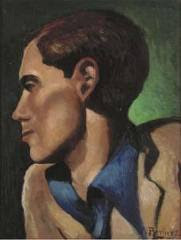 The sense of continuity and well-being which that brings is palpable. All the produce looks so fresh and 'real'. Possibly with flavour which most of the fruit and veges from our local supermarket has virtually none. We shop at a local butcher's and there is always a long queue, even mid week. I must admit to buying the 'basics' via online shopping - as much as I know that supermarket chains are evil, so is the shopping itself. I'm not helping the system am I? Have a lovely weekend and take care. Annie x.
Dearest Alec, thank you so much for taking such time and trouble to write at length on the issues of food production,supermarkets, food miles,the demise of the British high street and all matters in between. We should most certainly heartily endorse your father's views on how diversity, choice and customer service although not all wonderful in small, independent food shops, were, on the whole, rather better than the indifference and homogenised range of goods on offer in most supermarkets these days. We are aware of the growing trend for farmers' markets in many towns which on balance we feel are a good thing. However, whilst one can expect that prices may have to be higher we often think that value for money considering both quality and price is not always in evidence. We definitely think that eating seasonally is the best way to ensure that what is on offer is both at a reasonable cost and has not travelled very far. We have certainly grown to enjoy this aspect of living in Budapest. The excitement when the first cherries appear is amazing......we know, we really should get out more!!!! 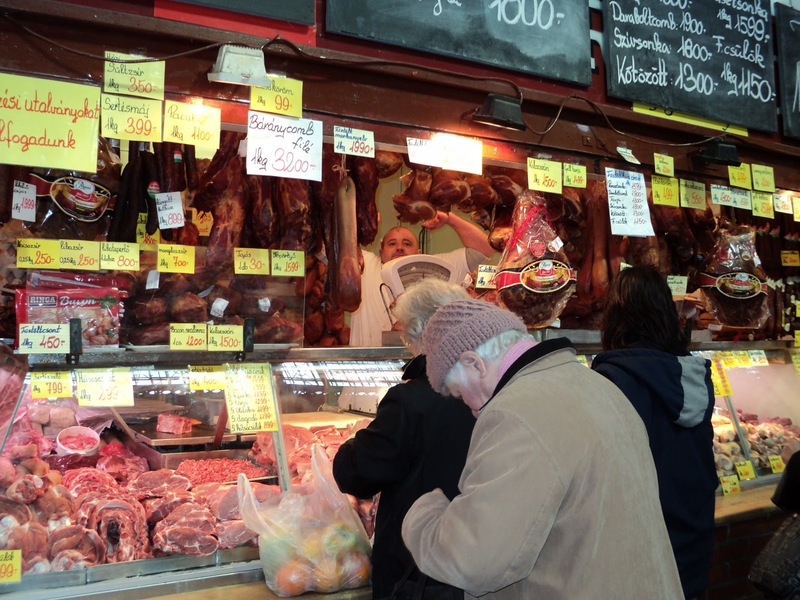 Perhaps one day you will sample the fare of Budapest's markets at first hand with us. We are sure that your father would approve of your trying out the many ways which Hungarians can cook cabbage. That really would take him back to post-war, post-rationing Britain!!! There is nothing more soul destroying than a supermarket that looks like every other supermarket in the country. Or in the world. It has no personal service, no local identity and wads of wasteful plastic wrapping. Your local market, except for the exterior, looks wonderful. And personal! It is very true that shopping daily and at a number of different shops is time consuming and, as a result, difficult for many working people or those with little spare time. However, like you, we believe that one must try wherever possible to avoid the soulless, poor quality supermarket if at all possible. Whilst not wishing to set ourselves up as a food blog [heaven forbid!!] we shall try to share a few tips from Tímea our housekeeper on cooking cabbage amongst other culinary delights!! Well, we have to say, that in our humble opinions, the Hungarian tomato is unbeatable in terms of taste. Always offered on the vine, always ripe and absolutely bursting with flavour. In England, we have not tasted such tomatoes for decades. We must admit to very different shopping habits in Brighton, compared with Budapest. There we too use online shopping for convenience but are lucky to have a local butcher, greengrocer and delicatessen. We are in total agreement with you here. Indeed, even plastic bags are very rarely offered to shoppers in Budapest, the expectation is that you take your bag or basket with you and the items are placed directly inside. Something we very much approve of. And yes, it is the personal touch from the individual stallholders that makes all the difference. This more than makes up for the peeling stucco!! It is so fascinating to see your part of the world. I am amazed that your cabbage lady makes a living also!! Each picture brings me to your country & I love seeing your local folks. Thank you so much for sharing with all of us; things that are ordinary for you, aren't for Americans. Dearest fairy goddaughter, Suze, it is way past our bedtime at just gone midnight and here we are reminiscing about 'old ways'. Well, although we are all for change, for moving on, for looking to the future we have to say that buying just what food you need to eat each day, choosing from what is in season and most probably lifted from the ground that very day and served with a smile and a kind word has much to commend it. Sometimes old ways are the best!!!! Believe us, dear Cindy, that the cabbage stall is incredibly popular and does brisk trade every day. In addition to all strengths of pickled cabbage she also has a wide range of other pickled items, some sweet and some savoury. Other favourites of ours are small pickled peppers stuffed with garlic. They are truly delicious. What is so wonderful about blogging is that one can travel the world whilst still at home and learn about so many new and interesting things. We love it! I really love this post. I love going to markets and in fact, when i visit a new place i make sure to go and visit the local market. I think you can get a good idea of the culture and eating habits of the place and its people. This market you get your groceries from looks so good, with fresh and colourful produce. I strongly believe that we need to support countryside folk and buy from them as often as we can and not leave money at big supermarkets. We help them with their livelihood and in return we get good, fresh food. Perfect trade, i think. The interior looks much like our markets, but the exterior is quite different. So many questions arise, but I will only trouble you with a name that jumped out at me. What is Baranycomb file. Something fillet? I'd give my right arm (well, maybe someone elses) for a market like that. There are some good ones in Seattle but not of this standard. Thank you for such interesting insights in your daily life in Budapest! Which side are you living on? Buda or Pest? It's such details which help me understand your life and adventures. I remember the city from one and only short visit, back many years ago, about 1980. Still under communist rule then, but from what I can see, there are things truly not changing fast! I noticed this as well in Poland, where my in-laws live, far east, near the Ukraine border! People are humble and mostly happy with their freedom. How is the economy on Hungary these days? Love to you both! Happy holidays! A lovely paean to the market. Though ours here are not so grand, we miss them terribly when they close down for winter. In New York City, I'm happy to say, the market has come back, with outposts all over town, and many now year round. None I've seen, though, have a stall with pickled cabbage and other pickled delights! It would be a dream to shop this way every day...seeing the same grocers daily, knowing where exactly your food is coming from as well as who it's coming from, not to mention experiencing all of this in an exquisitly old & historic building...you are so very fortunate. May these old ways continue to live on in this manner for many years to come! We entirely agree with what you say here about the need to support country people. This is particularly so in Hungary where we are very conscious of what a struggle it is for many to be able to make a living in what are very difficult times. Once outside of Budapest one becomes immediately aware of how hard life is living in the countryside. Yes, visiting markets is an excellent way in which to obtain the feel of a place. Farmers' markets are, as you say, becoming increasingly popular, something of which we are very aware on our return trips to the UK. However, we are most surprised that a city such as Canberra is without a permanent market. We hope all is well with you and your current situation. Take care, Kerry, with all the travelling. Sadly the exterior of the market building is in dire need of restoration which is rather sad as so many of the original animal carvings are falling into serious disrepair. In answer to your question, it is in fact fillet of leg of lamb [so you were halfway there!]. We are indeed most fortunate to have this market right on the doorstep. And although the building needs attention, the food for sale is always of excellent quality. Your comment is so very, very kind and generous and so very much appreciated. But how much better it would be if we could all go to such places together. The two sides of the City, separated by the Danube, are, as you clearly know, quite distinct one from the other. We are on the Pest side and very much consider ourselves Pesti people. Additionally, the very small British community, such as it is, are largely to be found in Buda and we did not, at any point, wish to be part of it. Of course things have changed since the collapse of communism but not always, we are afraid to say, for the better. A recent poll showed that over 60% of those questioned would, given the choice, wish to return to the previous regime with its full employment, low living costs and lack of taxation. Interesting, we thought. The economy, we are sad to report, is in a dire state and was, only this week, voted the worst in the world. This we find hard to believe but it does give some indication of how things are. The forint remains very unstable against almost all other currencies with the rate of exchange altering several times quite significantly in a single day. One of the joys of the market here is that it is all year round although we feel desperately sorry for the outside traders, many quite old people, who struggle to maintain their stalls in the bitterest of weather conditions. As we write, those selling Christmas trees outside in the square are camped out all night to guard against theft. It is, as you say, a wonderful way to shop where each morning the meals of the day are decided upon and then it is off to the market to buy whatever is needed. The downside is that, very often, certain items are unobtainable so last minute changes have to be made. This is also true of the local CBA, a state run foodstore, where 'National Shortages' are still a part of daily life. Ye, we are considering a post, most likely in the New Year, of Tímea preparing the traditional cabbage dish!! The Pike Place Market sound absolutely our kind of thing and how wonderful it would, perhaps 'will' one day, be to visit it together. We may very well hold you to that!! All such markets are, we think, a great joy. Long may they continue. Your Farmers' Market in Berne sounds absolutely wonderful, Christa, and just the sort of place we should love to wander around. As you say, it makes shopping so much more personal and the market people do have a knowledge of, and are genuinely interested in, what they are selling. "...and Brussels, with all its European Union regulations, is a long way off." Sounds ideal. Perhaps we shall return to that land one of these fine days. Those beautiful old buildings, those ancient market halls! We do hope to get there one day. We are absolutely sure, as we often heard, that this particular market hall has a small corner selling that wonderful greasy dough called langos (often written as langosch that would be the proper spelling in another language spoken in an unnamed country). We would also love to meet the butcher Gyula and his hairy men... Or was that Freud playing a game with our eyes? It has again been a lovely post. We shall look forward to reading the next one! I must admit, I am always drawn to old markets whenever I am in a strange town or city and I well remember visiting one in Budapest when I was there about seven or eight years ago. But I also recall a new Tesco store from the same visit so you do well to record the markets whilst they still survive. Oddly, I am not inspired to write an exposition of my own local high street (pet shop, hairdresser, greengrocer, newsagent, post office, charity shop, some takeaways and the beloved Tesco Express)! Your shopping trips sound wonderfully sociable and enjoyable. I am jealous, and would likea big hug from the cabbage lady. Parts of the world are considered backward, but it's sometimes better they're thought that way, for they can then get on with what they do, better than if they were interfered with.. I would prefer to be shopping somewhere out of the way, such as here, than in one of the supermarkets I have near me, where mass production and catchy advertising are more likely to leave you fooled than satisfied. I'm so glad to see Hungarian markets thriving. There is not much difference, to me, between giant multinationals dictating choice, to totalitarian states doing the same thing. People, and the food they eat, matter. And long may this be the case, or so we feel. Yes, we do so hope that you will, one day, have the opportunity to visit Hungary, and Budapest, again. There is much to see and enjoy. A great way to shop and we try and use the market in Loches as often as we can. How kind of your regular sellars to ask after you. :-) I always think that those simple small connections oil the wheels of life. We are delighted to welcome you as new Followers and have been most intrigued to read your 'profile'. Yes, you are absolutely correct that this particular market hall does have a stall selling the very traditional Hungarian lángos and still retains the old method, totally contrary to EU regulations, of spreading the garlic on to the dough. We are told by friends that they are the best lángos in the City. We do trust that you will continue to enjoy reading, and we hope comment on, future posts now that you have, so to speak, come out! Yes, we too are always drawn to markets wherever we are for they do give a very real sense of place and the atmosphere is always jolly and interesting. Alas, Tesco has established in recent years a very strong foothold in Hungary which does not bear well for the future of small shops and market traders. Even more alarming that, within the past year, Tesco Express stores have started to appear in place of the traditional corner shop. We are mortified to learn that you will not, after all, be posting on the delights of your local high street. After all, can we ever be saturated with news of a Tesco Express, a privatised post office and a dozen or more charity shops. And that is not, of course, to mention a few bankrupt or nationalised banks? Shame on you!! As you rightly surmise, trips to the market are always a very jolly experience and we are well known [strange that] to most of the stall holders! Yes, isn't the cabbage woman wonderful?!! Dearest Faisal, how we so fully endorse everything which you write here. And we do so fear for the future of small shops and markets both in Budapest, and throughout Hungary as a whole, with the advance of large supermarkets mostly owned by foreign, multi national companies. Even the small, state run mini supermarkets are a joy compared with these intrusive giants. ...'these simple small connections oil the wheels of life'. How very true is this. And whilst we should none of us become like ostriches with our heads in the sand, there are, or so we believe, some things which should be resisted. And huge, one stop shops are, in our book, one of them. Whoosh! I have just been whisked away to chez vous and back with nary a hair pushed out of place. :) I adored this post, just what the doctor ordered on a very gray morning here in Arles, for who couldn't be instantly cheered looking at all of that wonderful food? Like you, I am so very grateful for our markets here in Arles. Ours are twice a week, Wednesday and Saturday, both with their distinctive personalities. Wednesday is for the everyday items and the passage is often blocked by chatting friends. Saturday has the same but also special things, flowers, artisans, paella, roasted meats, etc. People tend to dress a little smarter and there is also the aspect of a passigiata. We eat differently because of them. In season. And we don't waste food as we did when buying at the supermarket. And yes, I have a few vendors that I especially appreciate, such as the Vietnamese vendor that always gives me a cooked dish for free when her husband has turned his back. We are lucky to have the lives that we do! Jane and Lance, I'm delighted with this post. My mental image of you would never push a supermarket trolley, and I'm always pleased to see you running true to your imagined selves. You are doing a good, good thing by supporting this lovely, genuine, unBrusselsified market. How glorious your markets sound to be, Heather, capturing with them all of the allure of Provence which makes us just that teeniest bit envious of you living in that wonderfully stylish apartment in the sun drenched South of France. Or so it always appears to us although clearly the truth of today is that it is somewhat overcast. Put that aside, for you are so obviously part of a thriving community,something which we enjoy here too, and which is not always so readily available to those choosing to live in a foreign land. As for the Vietnamese vendor, we are in love with her already!! Such kindness and generosity do indeed, as Niall and Antoinette [above] say,'oil the wheels of life'. We must never, never meet!! For we should, we are sure, be such a disappointment to you. For whilst in Budapest we idle from one stall to another, engaging in light banter and gossip, with Tímea always to hand firmly in charge of the purse strings and ready to scoop up the purchases, in Brighton we have been known to sneak round the Co-op in the dead of night, wildly grabbing at ready made meals packed with countless 'e' numbers! There are a few places in London [Borough Market, etc.] and the Cotswolds [Stroud Farmers' market] that sell local fresh produce every weekend. But I've always felt that there should be more. It's wonderful!! What a most interesting and timely post you have presented us. It has caused me to pause and take a moment to reflect, reflection on local trending. On this side of the Atlantic and here in the rural areas along the East Coast, well more specifically, here in South Central Virginia, I have noticed a resurgence of the “Ole Time” farmers markets. There has even been a new word phrased to describe patrons how now wish to buy locally grow products, “Locaivore”. We have been hugely interested to read here, Katherine, what you say about Washington DC's Eastern Market which must, originally, have dated from around the same time as those in Budapest. It is such a pity that it suffered fire damage in 2007 but we do applaud the authorities for ensuring that it has been rebuilt and continues to function as before, even allowing for the loss of atmosphere. Such fun too to have assisted friends with the running of their outside stall. A sure way of integrating into the local community. You are so very generous, as always, with your comment dear ASD. Thank you. Happily, at least for the time being, the market hall is very much the centre of our local community and is well used. But then there is a very real need for it as, unlike so many large cities, people really do live right in the centre of Budapest, most of the ground floor shops having residential apartments above them in the way in which they were originally designed. For some years we kept a flat in South London and so know Borough Market very well indeed. It is excellent in many ways but, we feel, has a tendency towards becoming a little 'precious' catering, as it surely does, for those who live in Fulham, Pimlico, South Kensington, Victoria, etc. Oh dear, we must not go on!! More than 'a little food for thought', a veritable feast indeed!! There does, as you say, appear to be a resurgence of markets in towns and cities, and in particular Farmers' Markets, in many places and this is, we feel, all to the good. However, whether they are simply patronised by the usually well heeled ' Locaivore', and principally cater for their needs, as opposed to serving people who, often on low incomes, are in search of good, affordable, locally grown produce is, perhaps, another matter. Certainly some we have seen in London attract a very smart crowd sporting Gucci bags and having waiting taxis in attendance. Not so, you will be pleased to know, here in the Motherland! South Central Virginia. How this most romantic of names trips off the tongue. What a very splendid place to be and now we shall think of Fox Paw Lodge in more specific ways. I really thought I'd commented on this, apologies. I find preparation for a meal starts during the shopping phase. My senses come to life when I'm seeking out the right meat, vegetables and fruits. Supermarket shopping dulls the senses, there is no 'atmosphere' to speak of, the bright lights, sterile smells and lack of banter with the staff makes for a lacklustre experience. Quite often, on returning from a supermarket, the last thing I feel like doing is cooking. I want to lie in a darkened room eating biscuits. Shopping as you describe is an experience. Any other way is a chore. I'd love to visit the stalls and get to know the vendors. Oh yes, how well we identify with the notion of visiting a market in order to tickle the taste buds. The only difference being that in our case, we are always most excited when someone else will actually do the cooking part!!! We are never to be seen in a supermarket in Budapest but have to say that, of necessity, we frequent the Co-op in Brighton. As it happens, however, the Kemp Town branch has a most delightful assistant and her jolly banter does lighten our visits there!!! how utterly fabulous.....I love markets and as I don't have and can only buy what I can carry i always buy from markets and small shops....a far more enjoyable experience...the produce looks fantastic!! Thank you for the colorful stroll through the marketplace. It is a joy to shop in such places. Yes, you are right.At least shopping every day means that staggering the few steps home is relatively easy. An altogether different experience from when we used to do the 'weekly shop' and pile it all in the boot of the car and one which we find infinitely more interesting and satisfying. We trust that you are finding equally interesting shopping experiences in Berlin!! "We trust that you are finding equally interesting shopping experiences in Berlin!!" Yes, there were! I am back in Texas now; nothing like that here unfortunately. You live a charmed life and there is no greater pleasure than to shop in a market and see and greet the purveyors of the finest goods and produce. I can sense the joy and excitement one feels at such a market from the superb images you have shown us. Gosh, Berlin to Texas, now that is a change of scene. You certainly sound to be rather wistful about the German markets but we hope that you are pleased to be 'home' again. As always, your comment is so wonderfully generous and kind. Yes, we count ourselves very fortunate indeed to be able to live as we do. Never mind our schooldays, these are, we believe, the best times of our lives!!!! I love markets. Our local village market in my part of Derbyshire has all but given up, thanks to the new Tesco on our doorstep. There are only a few stalls remaining and I fear their days are numbered. There are plenty of farmers' markets springing up but they are still not the "proper" markets of my childhood, selling everyday stuff for ordinary people - most of their produce is way too expensive so the only people who shop there are "River Cottage Wannabes". Your post reminds me of how things were when I was a child. Shopping was a labour of love. I suppose the people of the UK must prefer to shop in huge supermarkets, otherwise they would shun them and remain loyal to the little shops. But the public are so gullible - tell them you're cheap and they will flock to you in their thousands, with no thought for where the food comes from, how the animals are treated, whose livelihoods are affected.....our country is evolving into a nation of TescoTowns. We share the passion which you express so eloquently here. It is indeed a sad state of affairs that 'ordinary' markets are disappearing the length and breadth of Britain and their 'replacements' offer little by way of enhancing the lives and eating habits of the general public. We spend less and less of our time in Britain and, when we do, we are saddened that food is relegated in most cases to the role of 'pile it high and price it cheap' rather than a serious consideration of where has it come from, is it fresh and which season is it? Only another nine day's to go, and I shall be turning into a lazy tart myself for a week. I can hardly wait! We do, as you may imagine, find the increasingly strong presence of Tesco here both disheartening and rather alarming. Already, within the space of the last few months they have, not content with major out of town stores, started to open Tesco Express shops where once there would have been a Hungarian corner shop. Of course one cannot halt, nor should one, the march of progress but does it always, we ask ourselves, have to go in a direction which, in the long term, does not serve the common good? The market in Morpeth, and that at Wallington, do sound to be very good and we can well see that they are an excellent source of fresh, local produce - so important, we feel, where meat is concerned. Yes, we agree about the support for Manchester United which is most strange since, as we understand it, he has never been outside of Hungary. The power of television, we imagine. We do hope that you will not wear yourself out, dear Abby, in the period leading up to Christmas. There is nothing worse than a lazy tart who is too exhausted to do nothing!! Take care and have a safe and enjoyable weekend. As you and everybody else have described such public markets as "a different world", I suddenly faced a reality: My world is a different world for you as well:) Because such markets are very common in Turkey. For example, every Wednesday is the public market day in my district. And every district has a different market day of course. On those days, villagers come to sell their vegetables, fruits etc. Thanks for your fantastic posts, Jane and Lance. A super blog..great photos ..Market people are always happy. It is so much like Portugal. You both would feel quite as home herre..except for the language of course. I dont think the markets will ever die. Our indoor markets are the same. I was a regular shopper on wednesday and sat at our local market.. That , was when my family were all at home. Some years ago. I used to get my milk from a neighbouring farmer, but then he moved. I still go to my village market once in a while..especially when i have guests..the veggies are local and organic. Its tragic that these large hypermarkets have sprouted up all over the place.. no wonder some of the shops are closing. I love to read your blogs.. Yes, we are sure that there are many cultural similarities between Hungary and Turkey.One can see the influence particularly strongly in the Hungarian cuisine and, quite possibly, in the kitchen of Turkish households too. How wonderful that you also have the benefit of local markets where you live with fresh produce coming in from the countryside each day. We love it and are sure that you appreciate it too. Yes, the Portuguese markets sound very attractive to us and how fortunate we all are to have access to such wonderful places on a daily basis. Having mastered, over the last 10 years, at least sufficient Hungarian [not an easy language] to buy food at the market and order it in restaurants, we really do not feel we can now embark upon Portuguese!!! Budapest is our home now. That's the way to shop. Sadly, there are not many towns left in the UK where such is possible, but here, in Ludlow, it is. We have the most wonderful outdoor market on several days a week. it is almost (not quite) continental in scope and variety. We also have the Ludlow Food Centre (since your time, i believe), outside the town. Here, only the best local produce is sold; it is a veritable foodie paradise; it's an experience to stroll about and finger the produce, pick up a jar of this and that and load your basket with the freshest and most beautiful groceries, bread and meats, honey, jams and pickles, and everything the dedicated cook/gourmet could desire. Oh this sounds just like the St. Lawrence market I visit frequently! :D Lovely trip through a throng of varying and spectacular shops! Sweet! How marvelous to have this gift nearby..and year-round! I'm so glad you love the stuffed cabbage, it must be so delicious. I have not tried the Hungarian version, but everything cabbage is pure nostalgia for me! And the sweet cabbage lady looks happy! Thinking of you, dear friends..
We do like the sound of the Ludlow Food Centre, yes after our time. Ludlow was always something of a gourmet destination, but clearly that idea has now been strengthened considerably. It does show that people are prepared to make the extra effort to shop in these kinds of ways if they feel that there is good quality and good value to be had. Sadly, as you say, such enterprises as the Ludlow Food Centre are few and far between in English towns and cities these days. How lovely that you have the St. Lawrence market where you live. It sounds perfect. Perhaps there needs to be a world map of such markets so that travellers in search of good food can find a suitable market wherever they may find themselves?!! Yes, as you say, the beauty of our local market is that it is open every day except Sunday and all year round. The wares on offer become extended towards the end of each week and at particular, holiday times of year. It then becomes even more special. We associate the pickled cabbage with Hungary very closely. It is delicious and makes the most wonderful aroma throughout the apartment when being cooked. We can well see how the very mention of it must make you nostalgic. Such a nice market. We still got nice markets in Spain too, but there is not such a thing in Athens, Georgia! As a person that shops daily and needing to make a minimum of two shops to prepare for dinner, I would be happy to have to wait in line for 20 minutes to buy the best meat possible. This little look into your part of the world is just fascinating and I'm a bit envious. Love your photos of the shops...and the people both manning them and shopping. Hello Jane and Lsnce. What a fascinating and nostalgic post. Your market looks wonderful! It reminds me of the big covered markets (indoor and outdoor) of my childhood in industrial Lancashire. You could buy almost anything in the market and one of the local specialities was wonderful fresh fish, straight from the nearest fishing port 30 miles away. Thanks for the memories. Wonderful, especially the cabbage lady. My parents-in-law were born in Eastern Europe, I know all about pickled cabbage! I loved this post, as I find all your posts on Hungary so fascinating! I can just smell those cabbage rolls all the way over here in Ireland! I think I may make some (the vegetarian kind) for my dinner today! 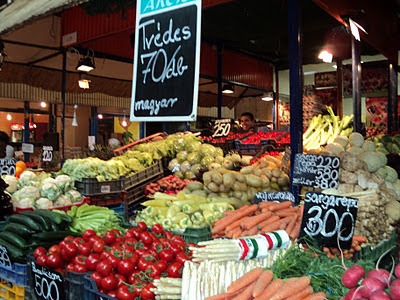 When I was in Budapest I visited the Lehel ter Market and loved the sights and sounds. Visiting markets when I travel is always something I do. Here in Cork we have the English Market, which HM The Queen visited when she was here earlier this year! Local markets do seem generally to be a European phenomenon as they seem to match more closely with the shopping habits of the people they serve. We have never visited Spain but would very much like to and a trip to a local market would undoubtedly be part of the plan. We are interested to read that you too are in the routine of shopping daily for food. We are sure that you, like us, regard this whole activity as an important part of the day. And, meeting the stallholders and exchanging a few words with them is always amusing and interesting. The large covered market of your childhood sounds to have been wonderful. Although our own market does not have such an extensive range, nevertheless, the essentials of everyday life are available and that is fine. The fresh fish sounds particularly appealing and this is something we rather miss. In a landlocked country and a heavy focus on river fish, there is not the same draw as there would be if it were like your market where the day's fresh catch would be available to buy. Perfect! Yes, somehow pickled cabbage and Eastern Europe go hand in hand so to speak. How interesting that your parents-in-law were from Eastern Europe, we wonder exactly where. Your farm shop sounds a perfect place to buy good quality local produce. We are sure that we should be daily visitors too. Indeed, on our last visit to Brighton we went to a marvellous farm shop in Sussex which had the most tantalising things for sale, all of which were in season and produced locally. Lovely! How fascinating that you have been to the Lehel ter market. An extremely strange building in our view, but, nevertheless, serving its local population with a good quality range of fresh produce. The English Market in Cork sounds to be most intriguing. We trust that there are other Irish markets too for we are quite certain that there must be many Irish epicurean delights to tempt the palate!!! Such wonderful photos and info, as always. We are learning our way around shopping in Sevilla. Wonderful public markets and plenty of small specialty shops (butchers, fish, bread, cakes, candy). And all within a few minutes walk of home. Very different from the superstore shopping we were used to in California. We haven't gotten completed acclimated, but we will, and we love it. Now that your time is not as pressured, how lovely it must be to have so many artisan products and producers on your doorstep. As you say, it does take time to get to know all the best places but it is well worth the effort in the end we find! Thank you so much for your comments. It is always a great pleasure to hear from you. We wish you a very happy week. Yes, there is something very enjoyable about shopping for food in this way on a daily basis. It does ensure fresh produce which is bought to be eaten as well as establishing personal relationships with the shopkeepers and stallholders. How lucky you are!! !Your market shopping brought to mind a recent expedition in Thailand. It was Sunday market in Bangkok - perhaps one of many throughout that city. Food galore - fish, meats, clothes, vegetables, spices and anything else to think of. The scents, aromas and stinks were to die for. 'It's all finished by about 3.30' my brother told me. 'They do this every Sunday. The Sunday market in Bankok sounds absolutely wonderful and what a splendid experience. Lucky you too!! Christine, we have had huge difficulty with you blog not appearing in our Google Reader. To try to correct it we stopped following, and then when we tried to refollow it came up with 'dangerous content' with, apparently, some virus. We shall, of course, persist. How lovely this post was I could almost taste the fruit and vegetables. The tomatoes looked particularly succulent. I really enjoyed visiting the market with you. We are delighted that you enjoyed the post. In summer we consider the Hungarian tomatoes, all of which are home grown, to be the best we have ever tasted anywhere. They really are superb. What a fun tour; thanks for taking us along! :) Glad to have discovered your blogspot. Thank you for such a very kind comment. We are delighted to welcome you as a Follower and very much hope that you will continue to enjoy what you read. What a marvelous, exciting way to do your grocery shopping. Reminds me a tad of Pike Place market in Seattle, but on a much grander scale than what I'm use to. I can only imagine the relationships that are formed and perhaps the stories traded? Every time I visit your blog I have a stronger desire to visit Budapest. I want to thank you so much for your marvellous comment you left me last week. You are always so thoughtful & I appreciate you taking the time to read any of my posts and share your impressions. You are always so encouraging. Happy holidays to you Jane & Lance and wishing you all the best for a glorious New Year. Well, now you are in Europe yourself, Budapest is rather closer so we do hope that you will make a visit one day and we should be delighted to 'show you the sights'!! You are quite right that it is the stories which are traded as well as the goods that make our daily forays to the market so enjoyable. We always look forward to your well written, imaginatively presented posts. And, are appreciative of your kind and generous responses. On the inside it looks very much like a "farmer's market" in Nashville. I enjoyed your post on the Budapest market. It seems like a magnificent place to do one's shopping, although it is quite possible more time consuming. Best wishes for a joyful and peaceful Christmas and 2012. Most certainly shopping at the market on a daily basis is more time consuming than in a one-stop supermarket, not only for looking at and deciding what to buy but also in the merry banter with the stallholders. But, we love it! Thank you so much for your warm wishes. We are sure that you are pleased to be at the end of a busy term and we wish you and your family a very Happy Christmas and peaceful New Year. We rather like the idea of slow food shopping but we recognise that it is a luxury in some ways. In our working days, as for many people, such a way of shopping is a problem when time is short and work hours are long. I long for the days of bakery and butcher (or death row as you call it)! The open market where you really do get the best produce. In the Summer we have lots of 'farmer's markets' sprinkling the city (there is one a block away from our building - lucky me). Not only is the atmosphere better - the food is too! Oh how I long for the farmer's market in these winter months. The Super Market in walking distance is so stressful in comparison! Thanks for sharing this - you both have a talent for evoking the best images. p.s. thanks for your sympathy and friendship these last few weeks. It means more to me than I can say. p.p.s. Board games played: Apples to Apples, scattegories, cards and of course my personal favorite: charades! Your own farmers' markets sound ideal and, all within walking distance is so good. But, as you say, it is the fact that our market is open all year round and every day except Sunday which makes it such a treasure. Thank you for your most kind and generous comment. We have been so pleased to have found you in the labyrinth that is the blogosphere as your posts are always so well written and full of interest. Oh how we love playing board games but seem to have such difficulty these days finding enthusiastic fellow players. We should certainly be game for 'charades'!!!! How extraordinary that you should have been here. We are of course delighted to know that you liked it. Small world!! How really fortunate you are, Diane, for you have clearly chosen a real, working community in which to live. It all sounds to be very goodly indeed and shopping must be a real pleasure. Hello Jane and Lance, it is wonderful to read your marketing habits are relatively unchanged. It is one (of many!) things I miss most from our years overseas. I do try to shop locally as much as possible, but I am also grateful I don't have to eat from the root cellar over the course of a long Maine winter as in my grandmother's and even my mother's time!